After a breakthrough qualifying performance at the Japanese Grand Prix, could Honda's 2018 progress have bigger consequences for F1's future? 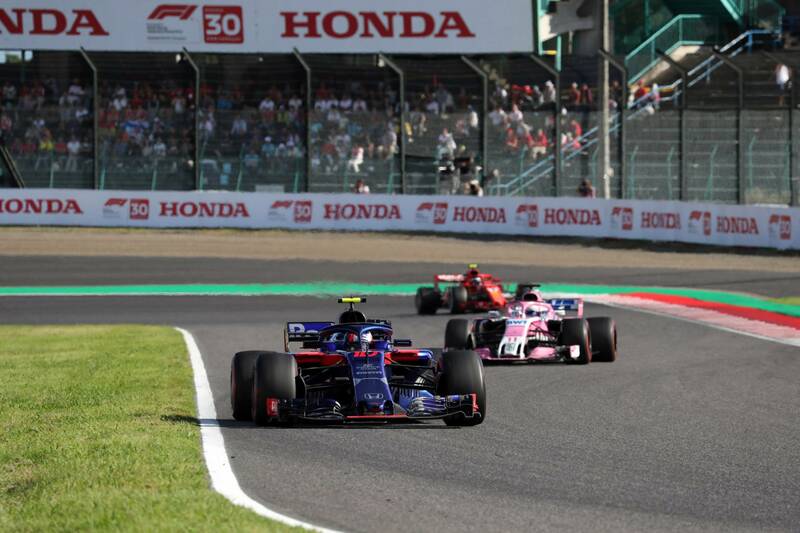 The final round of qualifying for the 2018 Japanese Grand Prix marked a fitting reward for Honda’s toils over the past four years in Formula 1. Toro Rosso drivers Brendon Hartley and Pierre Gasly both reached the top 10 shootout, qualifying sixth and seventh respectively, achieving their goal set out following the introduction of the Spec 3 power unit in Russia just two weeks prior. 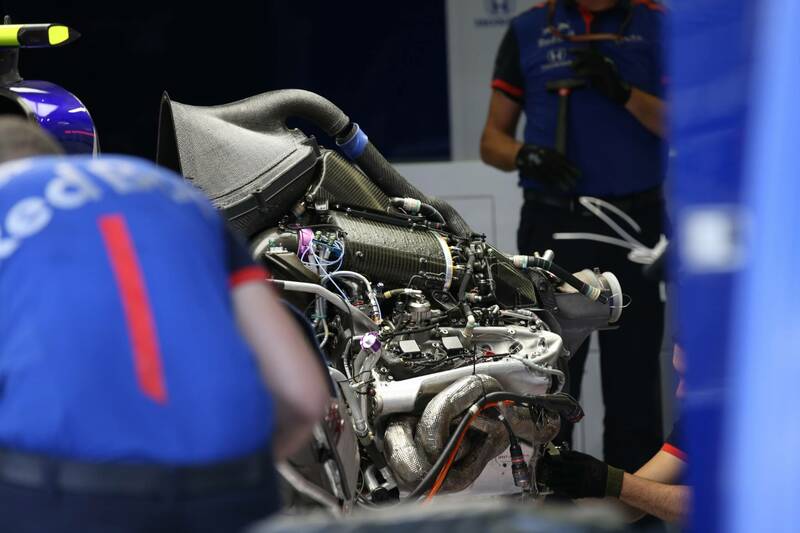 Having changed their design philosophy – adopting the split turbo design that Mercedes have used so successfully – in 2017 and jumping ship to Toro Rosso, Honda have made great progress on reliability and performance fronts. No, their reliability isn’t bulletproof yet, and they have perhaps only just caught Renault in terms of performance. Yet since switching teams, the Japanese engineers have had more room to make mistakes and learn from them. There seems to be far less pressure on them from their chassis partner, and better communication appears to be evident that is allowing their shared ideas to blossom. Unfortunately, knowledge of the changes Honda have made to their power unit remains clouded in secrecy, which is understandable but frustrating for fans. It is generally believed, however, that their remarkable gains over the course of the year have stemmed primarily from the internal combustion engine. This is all looking quite promising for Red Bull, who, along with their Italian sister team, will be using Honda power from next year. If – and it’s a big if – Honda do manage to get the jump on Renault over the winter, Red Bull must surely be considered as title contenders for 2019. To give you an idea of how complicated it is to develop the modern power unit, below is a list – although I am sure there are items that are missing – of the primary factors that influence the combustion process. This will perhaps provide a better understanding of why it has taken Honda so long to, at last, catch up with the other manufacturers. From the beginning of the hybrid era, the ICE has been identified as the key component within the powertrain and responsible for roughly 70% of its total power. Its key components are also used to drive the regenerative systems that charge the hybrid technology too. The MGU-K is fed off the crankshaft, and the MGU-H from the turbocharger – efficiency improvements in these areas will allow the engineers to extract even more power for longer periods of time. Air/fuel mixture: Not only is it important to create the optimal ratio of both components, but the complete combustion of the mixture also creates greater force on the piston head; even distribution of this force allows for sustained running of high power modes. Compression ratio: This refers to how compact the combustion volume is when the piston reaches top-dead-centre. In essence, a greater ratio achieves greater explosivity of the air/fuel mixture. However this is limited by early, partial combustion of the mixture, often referred to as knocking or detonation. Turbocharger design: The turbocharger is a forced induction device used to pump more air into the cylinder to create greater combustion pressure for a given amount of fuel. Reducing the inertia of the rotating parts allows boost to come on sooner; the vanes and housing in the turbine side must be able to resist high temperatures and extract as much energy from the exhaust gas flow as possible to enable sufficient charging of the battery through the MGU-H.
Fuel: Mercedes identified early on that the right fuel formula will enable more power for longer, especially given the limited amount of power units available for the season before penalties are incurred. The fuel’s molecular structure and calorific value are sighted as the two predominant performance factors. Ignition timing: This must be engineered in conjunction with the fuel’s properties to extract as much power from the combustion cycle as possible. Cooling: The engine block must act as an efficient heat sink to draw heat away from the cylinder walls, while hydraulic cooling systems enable heat to be carried away from the engine and radiated out through the sidepods. Component friction and mass: Manufacturers look to reduce moving parts – and make them lighter – to improve efficiency. Reliability issues often stem from pursuing extremely lightweight componentry, while too many moving parts add complications and tolerance build-ups. Variable length intake manifolds: The action of the piston rising and falling draws air from the plenum through to the combustion chamber; when the air intake valves close air is still being drawn through the manifold, which then rebounds back up to the plenum as it is prevented from entering the chamber. These air wave pulses can be utilised in the very next combustion cycle by varying the length of the intake manifold as the engine rpm changes. Using oil as a dopant: This is a well-documented recent exploitation of the rules that has been ongoing for several years. Engine oil can be formulated such that its properties are ideal for enhancing the combustion process; the manufacturers have all tried to bypass oil consumption regulations to get more ‘lubrication’ into the combustion chamber area. Ferrari were last year instructed to remove an extra oil tank believed to be used solely for this purpose. Exhaust flow: Evacuating exhaust gases from the cylinder as fast as possible prevents residual heat build-up with successive combustion cycles, which improves the performance of the engine over a prolonged period. The exhaust manifolds flank each side of the engine and take up space in the sidepods – this part of the car often causes dispute between the engine and chassis engineers. Quite an extensive list here to work through, particularly if you have re-entered the sport a little later than your competitors who have had at least three years of development in the bank. While outright power is always sought after, reliability and, perhaps more importantly, drivability must also be strongly considered during the engine design. The interaction between the ICE and hybrid system requires clever electronic mapping so that the driver feels comfortable when on throttle: lap time is often gained by giving the driver confidence to push consistently, as opposed to improving the performance of a part in a small operating window. While we won’t know the inner workings of the Honda power unit for years to come, from the outside we can at least observe that their partnership with Toro Rosso for 2018 has done them a world of good. Perhaps rightly so, Honda have been criticised frequently since their return to F1, but it would also be fair to say that their comeback has been stunted by buddying up with McLaren, who have also benefitted from the divorce by unearthing the underlying issues with their chassis design. It seems as though Honda now have a good handle on how the above elements combine together with the hybrid deployment system. While the race on Sunday did not go to plan as Gasly and Hartley slipped to 11th and 13th respectively, both took heart from the Spec 3 engine’s performance - a silver lining on an otherwise-disappointing day for the team. “I think honestly, it’s looking quite promising,” Gasly said. “It’s looking really good. There’s a few things to improve but as a first step we’re still discovering and exploring a bit the way the engine works, and there’s some good potential in there. If Honda can integrate and further this package in conjunction with both Toro Rosso and incoming partner Red Bull from next year, we face the tantalising prospect of a three-way fight for the championship - the likes of which we haven’t seen for a long time.